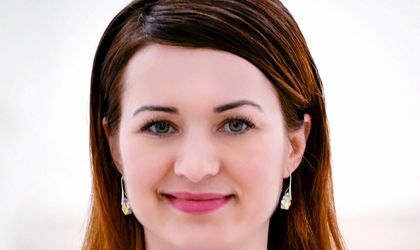 Anca Madalina Cristea has been appointed general manager of Hilton Garden Inn Bucharest Airport, the first hotel to be opened inside the Henri Coanda International Airport. With more than 13 years of experience in the hospitality industry, Anca Madalina Cristea worked as general manager of MGallery by Sofitel Tarčin Forest Resort & Spa in Sarajevo (Bosnia and Herzegovina), and previously as general manager of K+K Hotel Elisabeta in Bucharest. “We are in the stage of building up the team, an essential step for the success of our business. Passion, motivation, willingness for innovation and enthusiasm are the strengths of a successful team. We aim to offer our guests memorable experiences in a warm and welcoming atmosphere ”, said Anca Madalina Cristea. 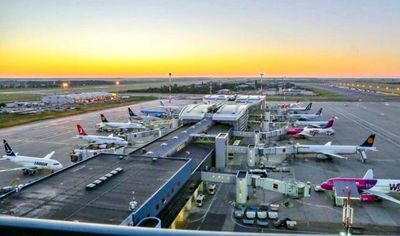 Hilton Garden Inn Bucharest Airport is located only 150 meters away from Henri Coandă International Airport and 18 kilometers away from Bucharest’s downtown. The hotel will feature 218 guestrooms, 5 conference rooms, a restaurant with fusion cuisine, 24/7 onsite shop and a fitness center. Hilton Garden Inn Bucharest Airport is part of Hilton Honors, a program that offers members who book directly through preferred Hilton channels instant benefits and exclusive discounts. “Anca’s extensive hospitality experience will be essential to the success of Hilton Garden Inn Bucharest Airport. I believe that, through her leadership, Hilton Garden Inn Bucharest Airport team will position this hotel as a landmark for excellency”, said Augustinas Barauskas, CEO of Apex Alliance Hotel Management. Hilton Garden Inn Bucharest Airport is the second property of this Hilton 4-star brand to be opened in Romania. The Lithuanian company Apex Alliance Hotel Management opened the first Hilton Garden Inn in Romania in Bucharest’s Old Town, in December 2017. In 2019, Apex Alliance Hotel Management will also open the first Courtyard by Marriott in Bucharest, on Dimitrie Pompeiu Boulevard. In 2020, the company will add two more hotels to its portfolio: Moxy by Marriott and Autograph by Marriott, which will be opened in Bucharest’s downtown.